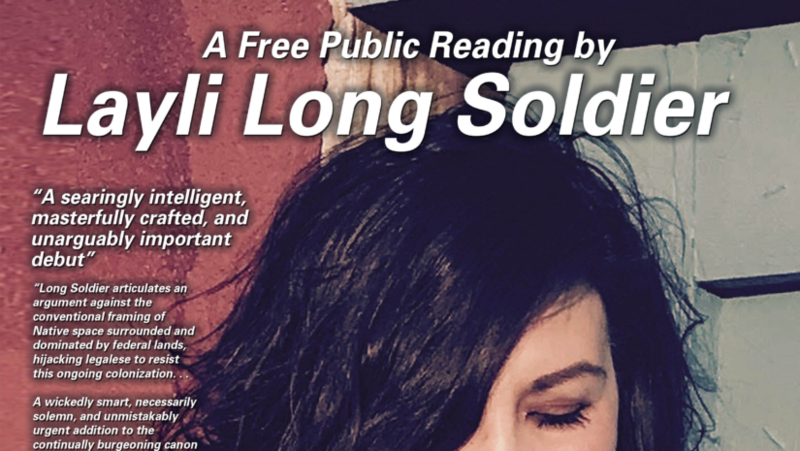 The Ecoss and McAllister collaboration on Community, Culture and the Environment is honored to welcome poet Layli Long Soldier to NAU February 21, 2019 for a public reading. Long Soldier is the author of Whereas, a finalist for the National Book Award in 2017. She was awarded a National Artist Fellowship from the Native Arts and Cultures Foundation, a Lannan Literary Fellowship for Poetry, and a Whiting Writer’s Award in 2016. Long Soldier is a citizen of the Oglala Lakota Nation and lives in Santa Fe, New Mexico. 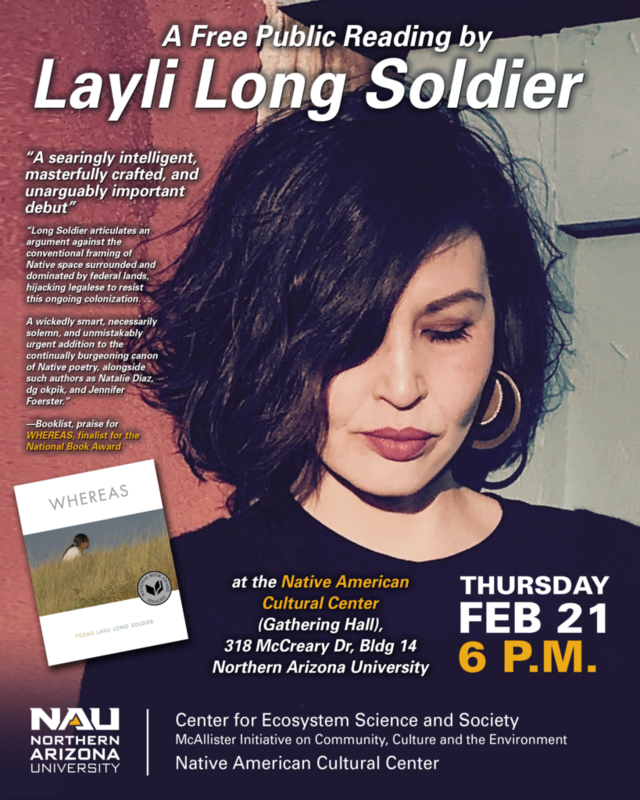 The reading will be held in the Native American Cultural Center on NAU’s campus Thursday February 21, 2019 at 6 pm. It is free and open to the public.